In 2009, dance legend Ann Reinking partnered with iconic choreographer Melissa Thodos to combine three historic Bob Fosse dances (Mexican Breakfast, Tijuana Shuffle, and Cool Hand Luke) together with original Reinking choreographic transitions as a new unified presentation called THE FOSSE TRILOGY. Filmmaker Chris Olsen and the Kai Harding team were brought in to document the dance making magic, filming hours of rehearsals and interviews with the Thodos Dance Chicago creative team, and capturing amazing insights from Ann herself. 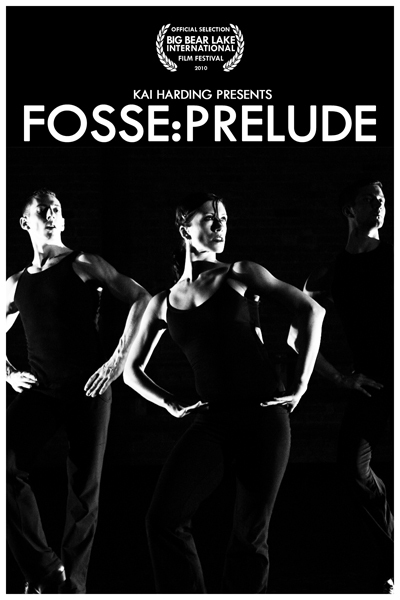 The result is “FOSSE:PRELUDE” a short documentary designed to accompany THE FOSSE TRILOGY during its performance season, which is now making its standalone film premiere at the Big Bear Lake Film Festival (California), on September 17th – 19th, 2010. Chris Olsen The film, presented in black and white, was shot with a combination of Red 4K and Panasonic HD cameras, and highlights Ann’s interpretation of the roots and legacy of the source choreography, while providing teasing glimpses of the breathtaking Thodos Dancers in action. The film is scheduled to play as part of the documentary shorts block on September 18th, 2010 @ 12:30 -2:30 PM, in the “Performing Arts Green Room”.